Under the California Vehicle Code, a DUI charge may subject you to jail time, fines and/or a loss of driving privileges. However, if you caused injury to another while driving under the influence, you will face additional penalties. If you are facing charges for a DUI with injury in California, consulting with a skilled DUI attorney at Wallin & Klarich in the early stages of the investigation or upon arrest is the most effective way to protect yourself from a lengthy jail sentence. 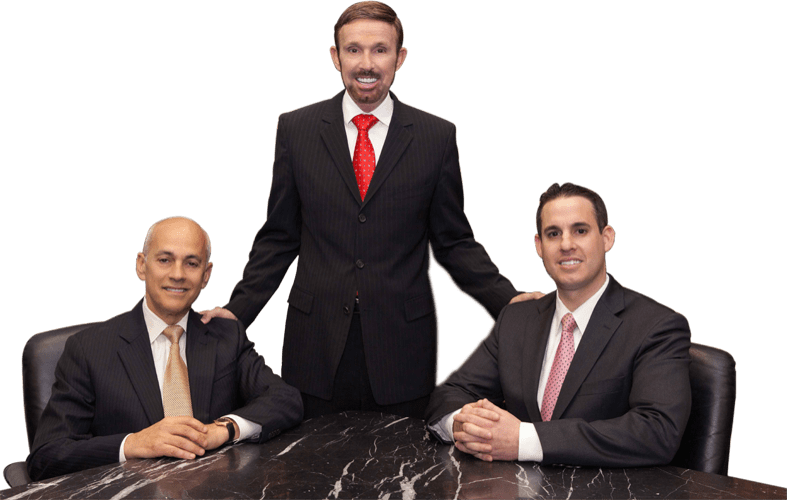 For over 30 years, our team of attorneys at Wallin & Klarich has successfully defended clients who have faced charges for DUI causing injury in Southern California. Speak to us today, so we can provide you with the assistance you need during this difficult time. We will get through this together. Call (877) 4-NO-JAIL or (877) 466-5245. Vehicle Code 23153 VC is identical to Vehicle Code 23152 VC (traditional DUI) except that, under the former, an injury resulted. You may face criminal charges if (1) you were driving under the influence, (2) you committed an illegal act or neglected to perform a legal duty, and (3) another person was injured as a result. “Driving under the influence” is said to occur if, as a result of drinking an alcoholic beverage or taking a drug, your mental or physical abilities are so impaired that you are no longer able to drive a vehicle with the caution of a sober person, using ordinary care, under similar circumstances. California law does not require your blood alcohol content (“BAC”) to be 0.08% or higher. Although California law does not require a BAC of 0.08% or higher, if your BAC was 0.08% or higher, you are much more likely to face criminal charges. You may face criminal charges if (1) you drove with a BAC of 0.08% of higher, (2) you committed an illegal act or neglected to perform a legal duty, and (3) another person was injured as a result. Sentencing and penalties associated with a DUI causing injury are harsh. You may face misdemeanor or felony charges, contingent upon the facts of your case. An aggressive Wallin & Klarich lawyer experienced in DUI with injury charges in California will work hard to achieve the best possible result in your case. In addition to the penalties that result from a criminal charge, additional restrictions substantially affecting your driving privilege may apply. After an arrest for a DUI, you have 10 days to schedule a DMV hearing. At the DMV hearing, you will have an opportunity to contest the suspension of your driver’s license. If you do not schedule a DMV hearing within 10 days of your arrest, your driver’s license will be suspended for a period of up to 1 year. The driver’s license suspension is separate from any penalties associated with the criminal charge. To prove that you are guilty of a DUI causing injury, the prosecutor bears a significant evidentiary burden. The Wallin & Klarich team of DUI attorneys is well-versed and experienced with the prosecutorial burden in such cases. Please contact our lawyers if you have any questions about the elements of the prosecutor’s case. Your illegal act or failure to perform a legal duty caused bodily injury to another person. You are considered to be “driving under the influence” if your physical abilities are so impaired by an alcoholic beverage or a drug that you cannot operate motor vehicle with the same ordinary care as a sober, prudent person. Our attorneys know the strongest defenses to beat a VC 23153(a) charge. A “drug” is any substance that can impair your mental or physical capabilities. Your mental or physical capabilities are “impaired” if you are no longer able to operate a vehicle with the same ordinary care as a reasonable, sober person under similar circumstances. “Ordinary care” is defined as the care needed in order to prevent reasonably foreseeable injury to another person. The test for ordinary care is an objective one- would a reasonable prudent person in a similar situation have acted in the same manner? If not, you have likely failed to demonstrate ordinary care. An act “causes bodily injury to another” if the injury is the direct, natural and probable consequence of the act and the injury would not have occurred without the act. There may be more than one cause of injury. As long as the cause was a substantial factor, namely more than a trivial or remote factor, contributing to the injury, it will be deemed a cause of said injury. If your BAC is 0.08% or greater at the time a chemical test is performed within 3 hours of your driving, a rebuttable presumption exists that you had a BAC of 0.08% or greater at the time of driving. A DUI charge can be very stressful. Let our attorneys help.